Singapore likely to host Trump-Kim summit in June: Report - SABC News - Breaking news, special reports, world, business, sport coverage of all South African current events. Africa's news leader. Anticipation is building for the unprecedented talks between US President Donald Trump and North Korea's Kim Jong Un. 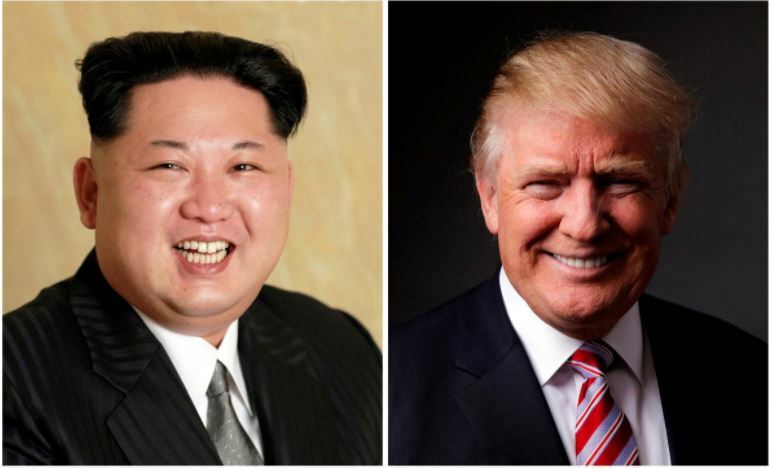 US President Donald Trump and North Korea’s Kim Jong Un are likely to meet in Singapore next month, reports said Monday, as anticipation builds for unprecedented talks between the mercurial leaders. Trump said at the weekend that the two sides had settled on a date and location for the summit, the first between a sitting US president and a North Korean leader. “We’ll be announcing it soon,” Trump told reporters. The landmark summit will take place in “mid-June”, South Korea’s Chosun Ilbo daily reported Monday, citing diplomatic sources who quoted Trump’s National Security Advisor John Bolton. The newspaper suggested that the possibility of Singapore hosting the landmark meeting had “increased greatly”, after a decision by Trump to host South Korean president Moon Jae-in at the White House later this month, without giving further explanation. Bolton met his South Korean counterpart Chung Eui-yong in Washington late last week to discuss plans for both locations, according to local media reports. A similar report on the weekend from South Korea’s Yonhap news agency also said Singapore was firming as the favoured location for the summit. Trump had previously suggested that the demilitarised zone between the two Koreas, the site of a recent summit between Kim and Moon -could also be an appropriate venue for his meeting with the North’s leader. Other possible sites reportedly included Mongolia and Switzerland. Preparations for the landmark meeting have gained momentum since the Korean summit late last month, which saw Pyongyang and Seoul promise to pursue the complete denuclearisation of the peninsula and a formal peace treaty to end the 1950-53 Korean War. North Korea has offered to close its nuclear test site this month and invited US experts to verify the move. Other less dramatic but notable signs of rapprochement have emerged almost daily, including North Korea moving its clocks forward by 30 minutes early Saturday to match time with the South. This entry was posted on 07 May 2018,06:36AM at 6:36 AM and is filed under World, Homepage Latest Stories Slider. You can follow any responses to this entry through the RSS 2.0 feed. Both comments and pings are currently closed.